When it comes to the working parts of a kitchen, the garbage disposal is one of the hardest working pieces of machinery. Day in day out, it works hard clearing the drain, and making it so waste can flow freely through your plumbing system. Often times the garbage disposal gets overlooked, as long as it does its job. If you take care of your garbage disposal it will function without a hitch. However, many people are unaware of the proper operating procedures for their garbage disposal. Which leads to problems. Here are some garbage disposal tips to help keep your garbage disposal happy. When it come to garbage disposal tips, it is important to not overload it. You may think you garbage disposal has super powers, but those powers get worn out over time. If you are doing some heavy cooking in the kitchen, run your garbage disposal at regular intervals to prevent overloading it. As an added bonus, if you are running the dishwasher, try running the garbage disposal first to clear the drain. Since the dishwasher drains into the garbage disposal, this helps prevent overflow in your sink, and also helps prevent clogs in your dishwasher from back-flow. 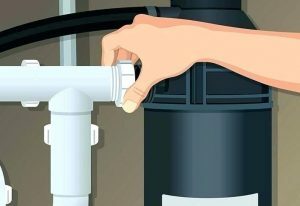 One of the most important garbage disposal tips is to always operate the garbage disposal with running water to avoid burning out the motor, and help direct waste down the drain. Cold water is best during the grinding process. It allows any grease that might have end up in the garbage disposal to remain solid allowing it to pass through the drain. Hot water is perfectly acceptable to run, if you are simply clearing out the drain. Grease is your garbage disposals worst enemy. Grease will build up in your plumbing up over time, collecting other debris, and eventually forming a massive clog. To keep clogs at bay, and help keep things flowing, it it best to avoid putting any type of grease or fat down the drain. Just don’t do it! All of these items can not only cause clogs, but also damage to your pipes. To prevent unwanted items from entering the drain, install a screen to capture unwanted items. Regular maintenance is good for any machine. It is particularly good for your garbage disposal because it allows things to continue to run smoothly, and allows the garbage disposal to work more effectively. On a regular basis, clean the garbage disposal with a mixture of hot water, baking soda, and vinegar. This help remove buildup and also deodorizes the drain. It is also good to run the garbage disposal with some ice cubes and citrus peels every now and then. 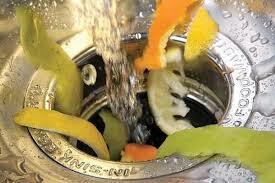 The ice cubes help know buildup off of the blades and the citrus helps sanitize and deodorize the drain. In addition, regular annual drain cleaning is the best way to prevent unwanted plumbing problems from creeping up. To learn more or to schedule your drain cleaning, contact Rooter Hero today! Why Is My Plumbing Making Noises? *We offer 100% satisfaction guarantee. If you are not satisfied, we will do the job again to your complete satisfaction for free, subject to Limited Warranty.